The Driskill Foundation along with Chicago Public Schools Network 5 joined forces with Stanley Manne Research Center, Lurie Children's Hospital, and InSciEd Out to provide the first official InSciEd Chicago hub. The Driskill Foundation in partnership with CPS with is striving to reach hundreds of teachers and thousands of students with the aim of producing a generation of citizens informed about science and empowered for healthier living. As Fall of 2017, the program in 6 CPS schools is in full swing. In February 2018, teachers brought science to life for students in the classroom. InSciEd (Integrated Science Education) Out (http://www.insciedout.org) is committed to rebuilding K-12 science education curricula for the 21st century and beyond. Share the culture, language, and practice of scientific excellence with all students in our local communities. Facilitate strong relationships between scientists, educators, industry, and other community partners to rebuild science education practices for the 21st century and bring available technology and mentorship to the community. Create a conduit for science literacy that results in improved health outcomes for communities. Why We Use Zebra Fish? Zebrafish have really important properties that make them perfect for scientific study within the classroom! 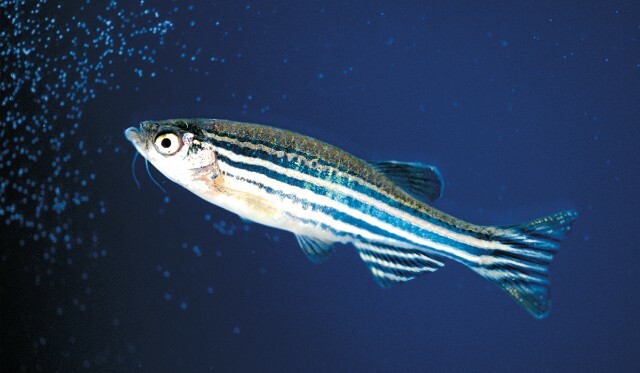 The zebrafish has more than 70% gene homology or shared ancestry with the human genome. As a vertebrate, it also has similar organ systems. They have high fecundity (they make lots of little zebrafish! ), transparency of embryos, fast development with well-defined stages, and low maintenance cost. Which makes it a vertebrate model system of choice for the InSciEd Out program. The short timeline of zebrafish development enables meaningful student inquiry that fits within the academic calendar. Chance the Rapper surprised students at the ribbon cutting ceremony of the Chance The Rapper Innovation Lab made possible with by his generous donation of $2 million to several CPS Schools. Principle Dr. Althea Hammond asked Chance if the $100,000 could be used to build a lab to ignite the student's curiosity and creativity about science and innovation. In partnership with InSciEd, Stanley Manne Research Center, and the Driskill Foundation, there were Zebra Fish, microscopes, several scientists along with zealous students explaining to Chance what they have been learning about science. Currently, eight CPS schools are implementing the InSciEd Chicago modules in the classroom curriculum with more schools added in 2019.